As we enter the time of winter pressures we have seen increasing demands on Paediatric Wards across the North West. 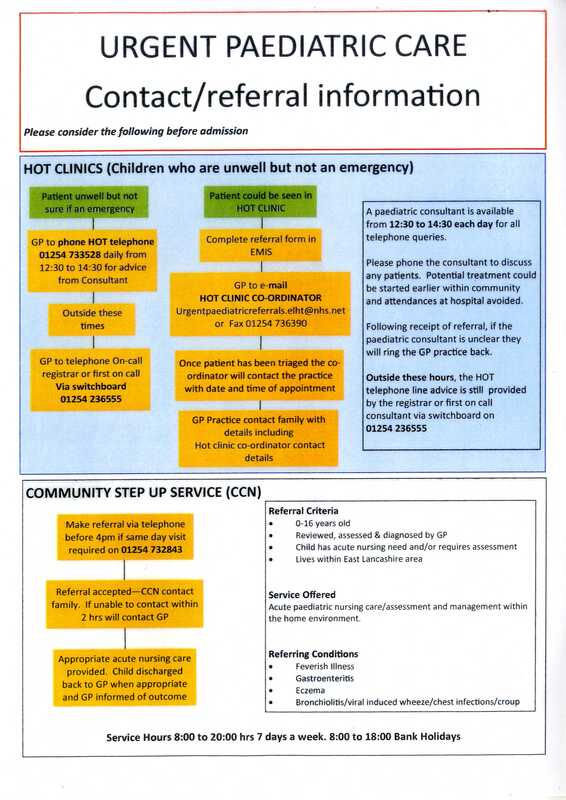 Please be mindful of the option to speak to a Paediatric Consultant and/or refer into a HOT clinic slot. A Paediatric Consultant is available from 12:30pm – 14:30pm each day for all telephone queries. 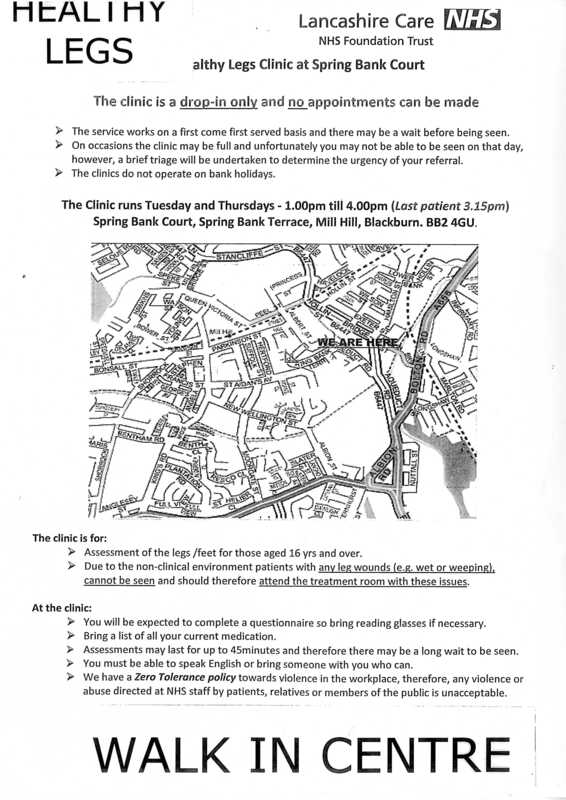 Additional support can be offered around potential treatment that could be started earlier within community and therefore attendances could be avoided. Outside of these core hours, HOT telephone line advice can still be provided from the Registrar or first On-call Consultant via switch (01254 236555) if the matter is urgent. Please leave correct DIRECT phone numbers for that day as referrals are triaged daily within hours.